As a key figure-of-merit for high-performance microwave filters, the out-of-band noise rejection is of critical importance in a wide range of applications. 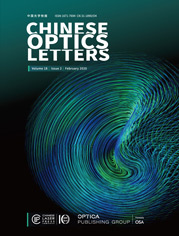 This paper overviews the significant advances in photonic microwave filters (PMFs) having ultra-high rejection ratios for out-of-band noise suppression over the last ten years. Typically, two types of PMFs, the bandpass and bandstop ones, are introduced with fundamental principles, detailed approaches, and then cutting-edge results for noise rejection. Ultra-high noise rejection ratios of ∼80 dB and >60 dB have been demonstrated for single-passband and single-stopband PMFs, respectively, which are comparable with the state-of-the-art electronic filters operating in stringent conditions. These PMFs are also characterized by wide frequency coverage, low frequency-dependent loss, and strong immunity to electromagnetic interference due to the intrinsic features from the advanced photonics technology.